A-1 Suburban Door provides professional garage door and opener installations in Elgin, IL and the surrounding communities including all of McHenry, Kendall, Du Paige and Cook Counties. 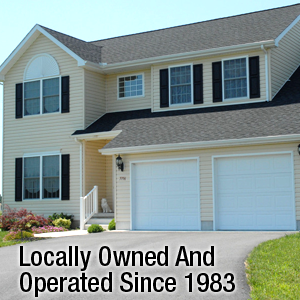 Locally owned and operated, we have over 35 years of experience doing business the right way. We strive to set the industry standard for quality and service. We are fully licensed, insured and dedicated to customer satisfaction. Whether you’re looking for garage door installation, repair or garage opener services, we have the knowledge and expertise to get the job done right in a timely manner and with affordable prices. We guarantee an experienced, dependable and detail oriented technician on every call. Garage Door Photo Gallery – View samples of our work in our gallery.